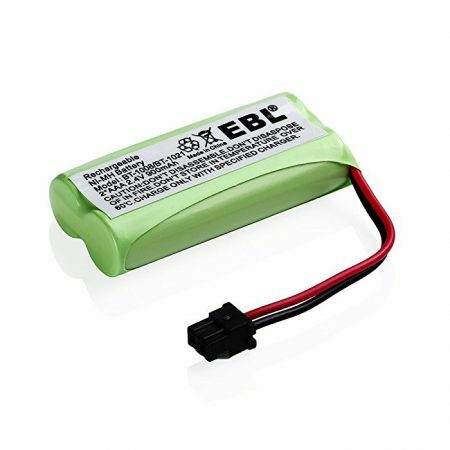 EBL 9-volt rechargeable batteries can be widely used for smoke alarms, vehicle audio, medical device, walkie-talkies etc. These 8-pack 9 volts batteries use highly efficient NiMH battery cells. 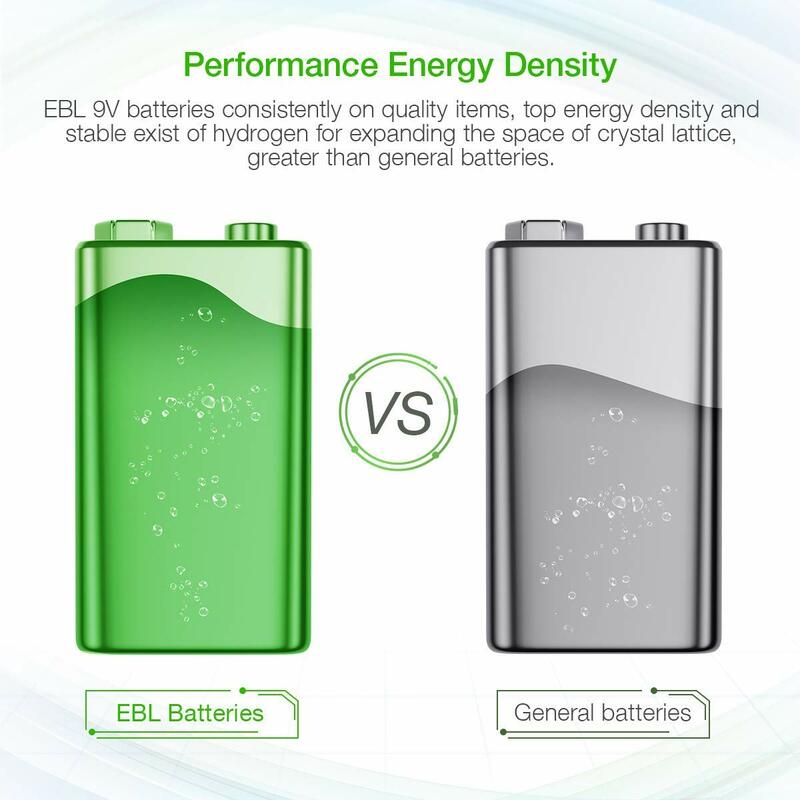 The 280mAh battery capacity and quality cells give you long battery life. 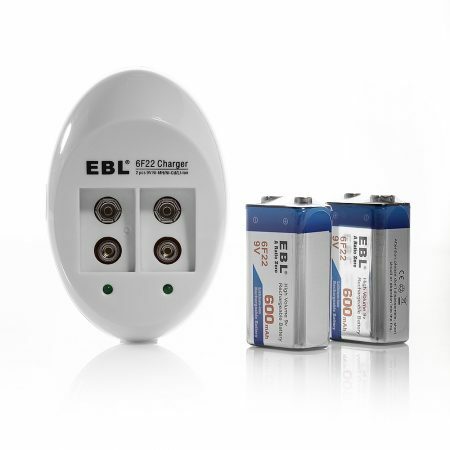 The rechargeable batteries can be recharged up to 1200 times. You can store the batteries for years as they discharge themselves at super slow speed. 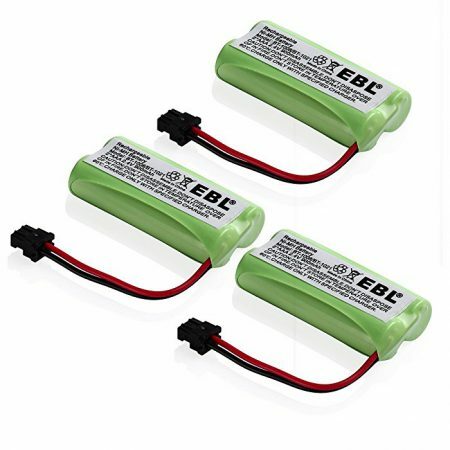 These long lasting 9 volt batteries are made of high quality NIMH cells are safety and powerful battery energy. 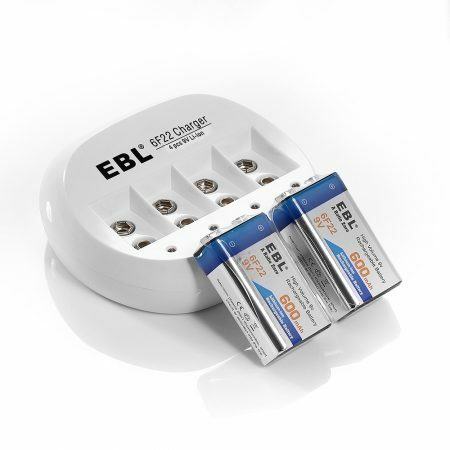 You can recharge and use them safely with long battery longevity. 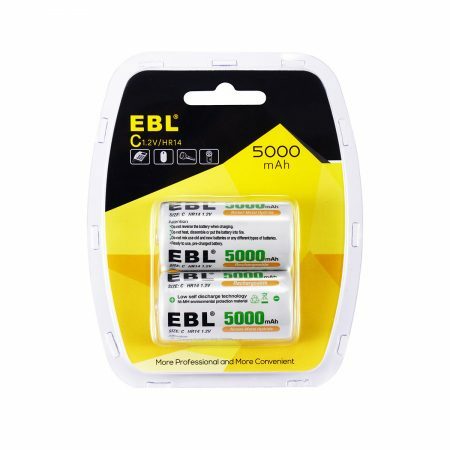 EBL 9V batteries are approved by CE and ROHS certification for the quality and stable performance. 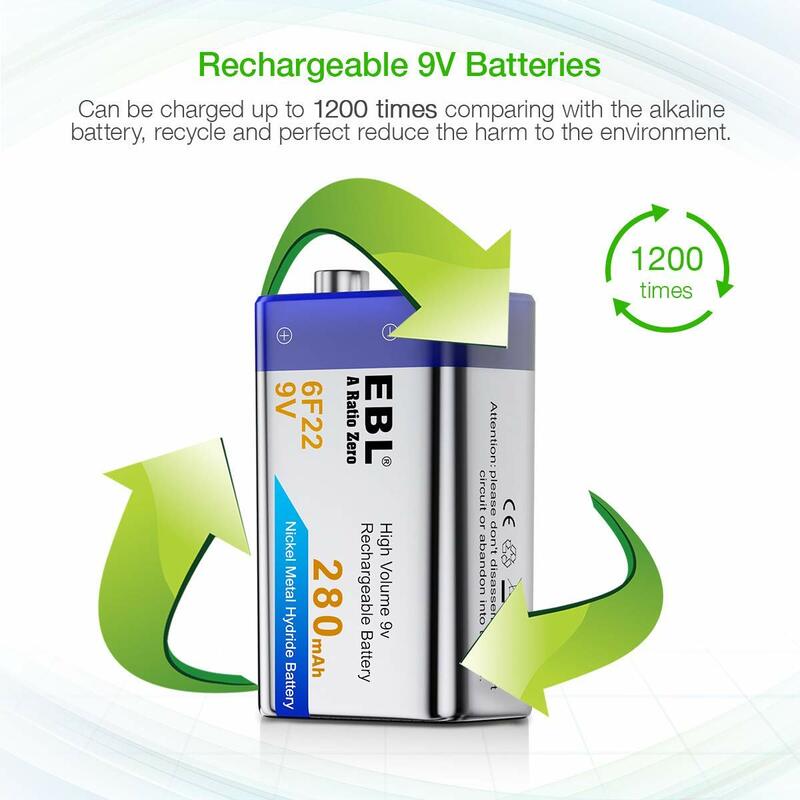 Rechargeable 9-volt batteries enjoy great popularity thanks to the wide application. 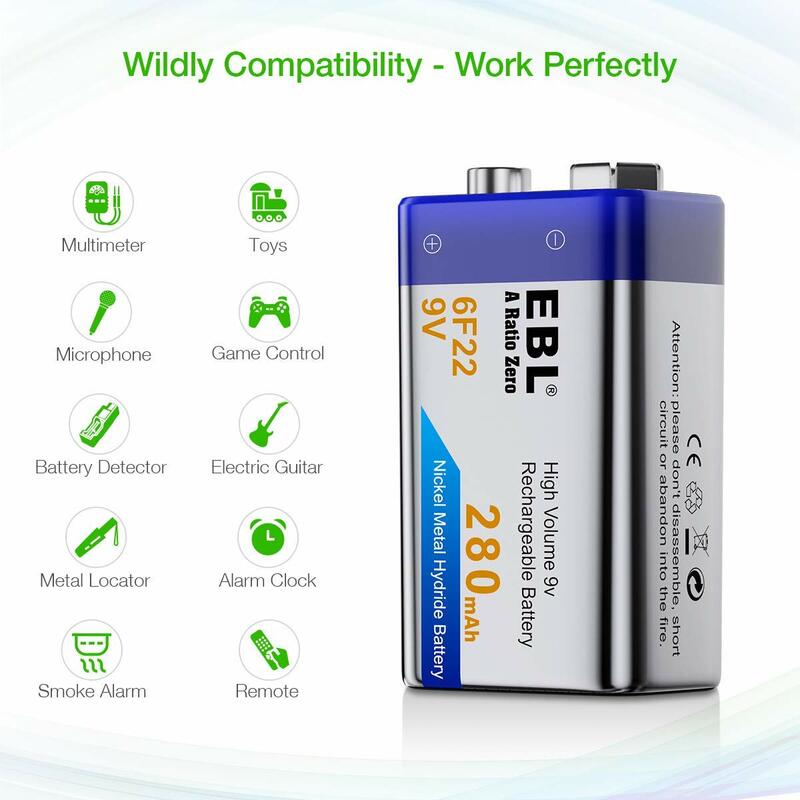 They can be commonly used for smoke alarms, clocks, medical devices, car audio, walkie talkies and more professional audio devices. 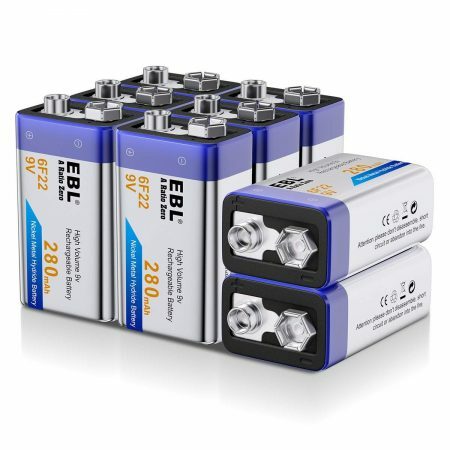 These 8-pack EBL powerful NiMH 9 volt batteries contain high battery energy. 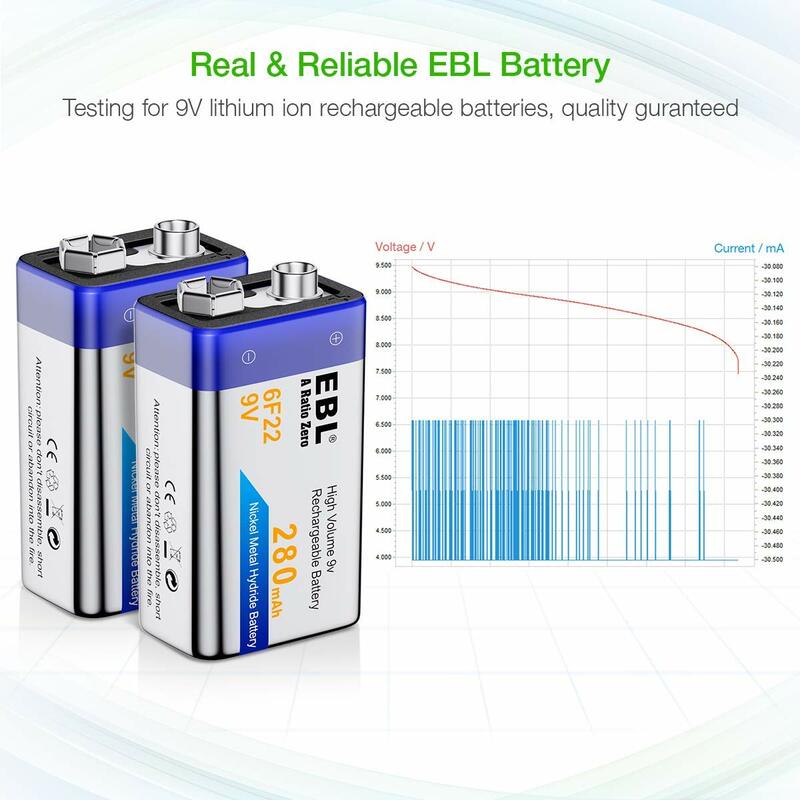 The batteries are built solidly to meet the quality standards of CE and ROHS certificates. 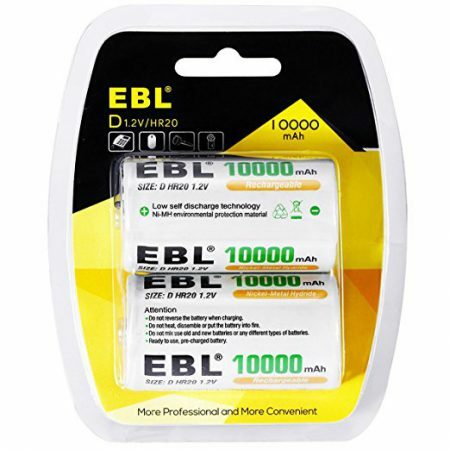 These 9 volts rechargeable batteries are fully tested for stable power and battery safety. 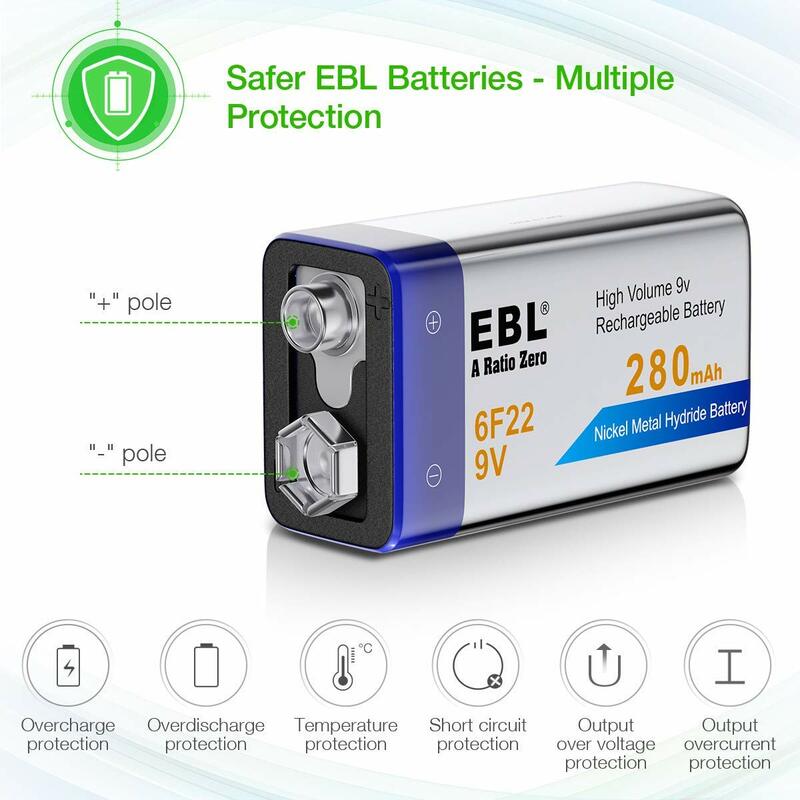 You can recharge these batteries freely without worrying about battery leakage or memory effect. 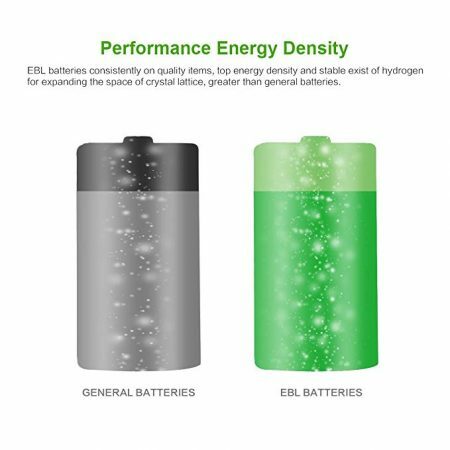 The batteries can be stored for many years without losing battery capacity due to greatly improved Low Self Discharge Technology.